Thousands of Marriott employees have now held the line and had a 24 hour cycle strike for over 2 weeks. As UNITEHERE! Local 2 members, the Marriott employees of San Francisco joined in a nation-wide strike alongside their fellow UNITEHERE! members, running from Honolulu to San Francisco to Boston. 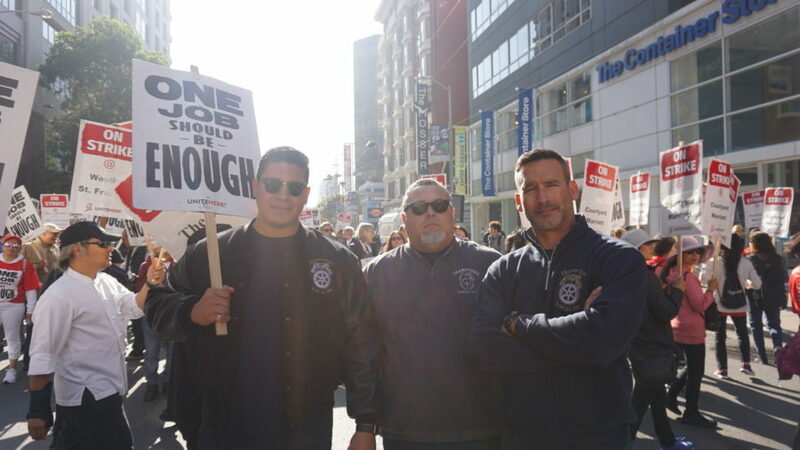 Teamsters Local 350 joined the rally to demonstrate full labor support and solidarity. “Today, we marched with our sisters and brothers from UNITEHERE! Local 2. Not only to show them that they are not alone in this fight but to show greedy corporations like Marriott, or anyone else that wants to wage war on workers in our city. San Francisco is and always will be a labor and union city." said John Bouchard, Teamsters Local 350’s Secretary Treasurer and Principal Officer.